Form by Laufen offers durable quality with respect to both product and design. A timeless, unobtrusive bathroom, compatible with many styles of living and interior design. Laufen WC's and bidets are suitable for all applications, the stylish design of this WC makes it ideal for any modern or contemporary bathroom. 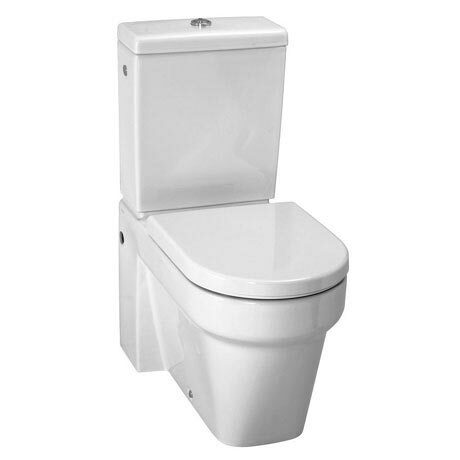 It features a water saving dual flush system of 6/3 litres and comes complete with a duroplast seat with quick release chrome hinges.